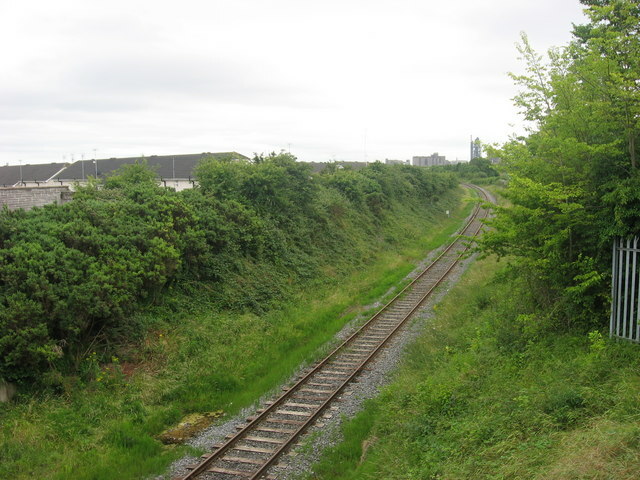 The former GNRI Drogheda to Oldcastle branch line, now enclosed by the southern suburbs of Drogheda, viewed from the rebuilt Rathmullan Farm Bridge. In the distance is Platin cement works. This page has been viewed about 174 times.